It is very nice blog, especially i like your tips and suggestion to make different types of design.Its a very difficulty thats way i like very much. Balloon AnimalsThank you. This is so cute and sweet! Thanks for joining us at Do You Stack Up. Beautiful card.Magnificent papers. Simple and clean style as I like ! Bravvo ! 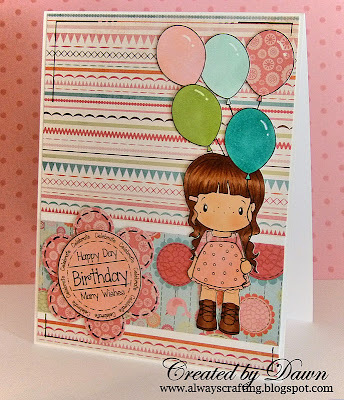 Gorgeous card - love the image and the LO is fab! 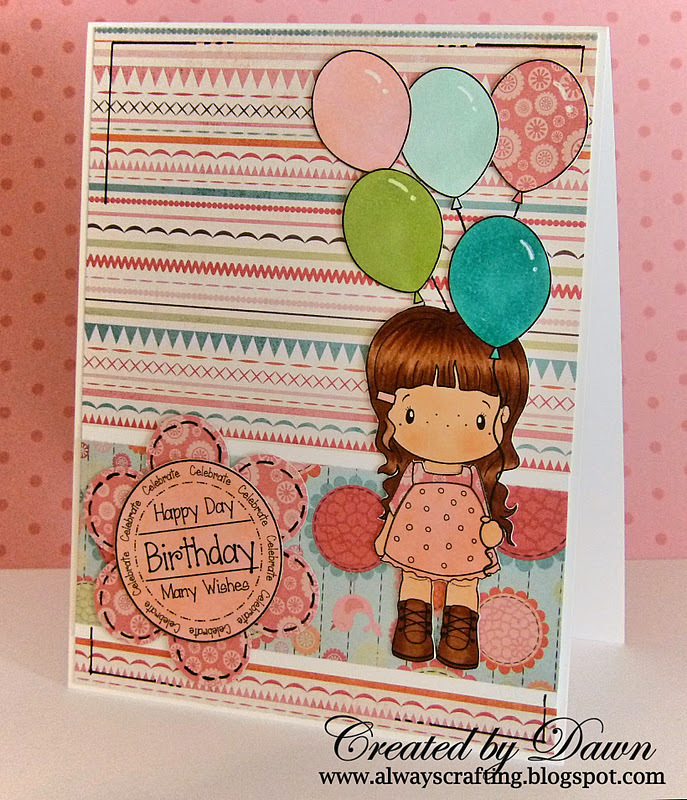 Thanks for playing along with our Birthday Challenge Charisma and for sharing it with us at MAWTT this week. Thanks for joining us for Dare To Be Sassy Thursday. Thank you for joining us at MMCS. Beautiful card Dawn, I love that image and so beautifully coloured. Thanks for sharing with us at DYSU this week! Fabulous card! The extra balloons were a great idea! Thanks for joining us at DYSU. Cute card! :) Great image and fab DP too.